Bow Down To The Medicinal Power Of Cranberries Native Americans and pilgrims agreed on at least one thing: Cranberries were good medicine. Nearly 400 years later, scientists are only beginning to unlock the antioxidant and other medicinal benefits of this gorgeous berry. Tiny Desk Kitchen Video: Are Berries All That Or Just Hype? If you've ever bitten into a raw cranberry, you know it's as bitter as a lime. Native Americans embraced that acidity to fight infection, and pilgrims believed there was something in the red skin of cranberries that fought scurvy. Scientists today are investigating dozens of health-promoting compounds found in cranberries, and they're finding that there's a lot of truth to the lore of centuries past. When the pilgrims first arrived in the New World, they wouldn't have been able to miss the vibrant red bogs of the indigenous cranberry. Like the Native Americans, they came to think of cranberries as medicine, says Kathleen Wall, culinary historian at Plymouth Plantation. Bump up cranberries from sad side dish to star of your Thanksgiving show with these recipes. Pilgrims and other early settlers ate the berries to fight off scurvy, unaware that it was the vitamin C inside that made the berries good medicine. "They thought that sour things would take salt out of their body," says Wall, "and they thought salt was causing scurvy. So even if they had the wrong reason, there was something to it." There was also something to the Native American practice of grinding up cranberries and using the paste to fight wound infections. "What it did was sort of form a barrier so the skin and wound could heal underneath, and there was some truth to it," says Wall. "They wouldn't keep doing it if it didn't work." Centuries later, the medicinal lore holds up. Researcher Diane McKay of Tufts University says cranberries contain compounds that help prevent bacteria like E. coli and staph from sticking to our cells. So there's some truth to the old wives' tale that drinking cranberry juice can help prevent urinary tract infections. But it's not quite a primitive antibiotic, says McKay. "It kind of prevented the infection," she says, but "I don't think it would be able to treat it." At the USDA's Food Composition and Methods Development Lab in Beltsville, Md., food chemists are using liquid chromatography and mass spectrometry to detect what exactly is inside a cranberry. They're even finding compounds scientists didn't know about 20 years ago. The lab has helped develop a comprehensive method to detect and measure the thousands of plant-based compounds found in fruits and veggies. Honey: Good Medicine Or Just A Sweet Treat? Finding a way to detect and measure these compounds is important because while we know that people who eat lots of fruits and vegetables tend to be healthier, it's not always clear how these compounds work or which are most beneficial. Jim Harnly, the lab's research leader, knows from past experiments that cranberries and other berries are loaded with polyphenols, which are known to have an antioxidant effect. While oxygen is the stuff of life, it can also naturally break down living tissues, i.e. aging. Antioxidants are compounds that prevent or slow oxidation in the body -- that's why you sometimes hear antioxidants called "anti-aging" compounds. Scientists have proven the polyphenols in berries do have an antioxidant effect -- but only in the test tube. They haven't yet been able to determine how much these antioxidants work in the body. Harnly runs a test on some cranberries I brought to his lab, and shows me a list of 18 compounds found in my berries. On the list are anthocyanins. "That's giving you the color in a cranberry," Harnly explains. And perhaps much of the cranberry's health benefit, too. After I left the lab, I called Jeffrey Blumberg at Tufts University to help me make sense of these anthocyanins. "Yes, anthocyanins from berries may in fact contribute importantly to promoting our health." Blumberg says the interesting thing about anthocyanins is that they seem to work in more than one way in our bodies. They have antioxidant power, fighting against cell damage. But there's another way, too. "It seems small amounts of these phytochemicals find their way from plant foods, like cranberries, into our cells, and then direct cells to reduce our inflammatory reactions." Basically, these compounds fight against inflammation. "And inflammation is not only something we see with infectious disease, but chronic low levels [of inflammation] now appear to be an important risk factor for both cardiovascular disease and cancer," Blumberg adds. Now that we know why cranberries are good for us, let's get back to the fun part. How do we get more of them into our diet? Susan Stamberg's famous cranberry relish is one way. Gina Chersevani has a different approach. "Everybody assumes you have to cook cranberries and boil away with sugar, right? They're so bitter and acidic." But she doesn't cook them. 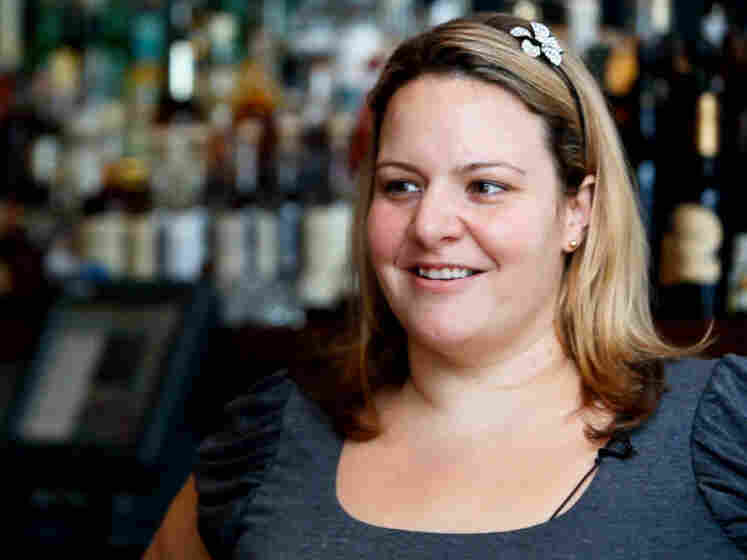 Her forte is liquid; she's a mixologist at PS 7's restaurant in Washington, D.C.
She shows me how to make a low-calorie, non-alcoholic cocktail, starring cranberries. She juices fresh berries with pears, strains out the seeds, and then adds some quince and honey simple syrup. The result? A regal and refreshing drink that captures everything that's good about cranberries, perfect for your Thanksgiving table. 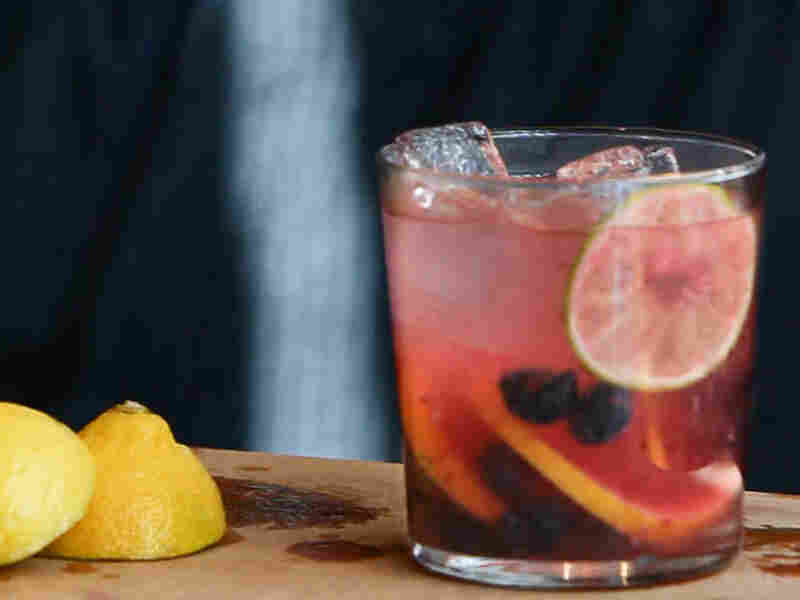 There's an explosion of research on the cranberry's summer cousin, the blueberry. Like cranberries, these native North American berries are also loaded with polyphenols. Researchers at the University of Cincinnati are investigating blueberries' effects on patients with mild cognitive impairment -- a precursor to dementia. In one small study, patients who drank 2 1/2 cups of blueberry juice per day for three months were able to improve scores on memory tests such as word recall lists and paired associative learning tasks (for instance, I say "north," and you respond "south"). The study was published in the Journal of Agriculture and Food Chemistry. "I don't believe we're reversing the aging effect," says lead researcher Robert Krikorian. But it's possible that blueberry consumption can help slow the damage that leads to memory loss. Krikorian doesn't know which compounds in the blueberries may be responsible for the effect, but he suspects it's the anthocyanins found in the pigment of the fruit. "They have potent inflammatory effects, and that, I would guess, is an important factor given the importance of inflammation in neurodegeneration"
One big caveat: This is one of the first human trials of blueberries, so clearly these findings are preliminary. Several studies have shown that diets rich in the colorful pigments found in blueberries can help lower the risk of cardiovascular disease and metabolic syndrome. Now, there's some evidence that berries may also help regulate blood sugar and stave off Type 2 diabetes. A small study published in the Journal of Nutrition found that participants who drank two blueberry shakes daily for six weeks experienced a 22 percent change in insulin sensitivity. This is a good thing. It means they needed less of the hormone insulin to process sugar from the foods they were eating. The study included patients who had pre-diabetes. None of the patients in the double-blinded study knew if they were eating a blueberry shake with artificial flavoring, or if it was the real thing loaded with polyphenol compounds. 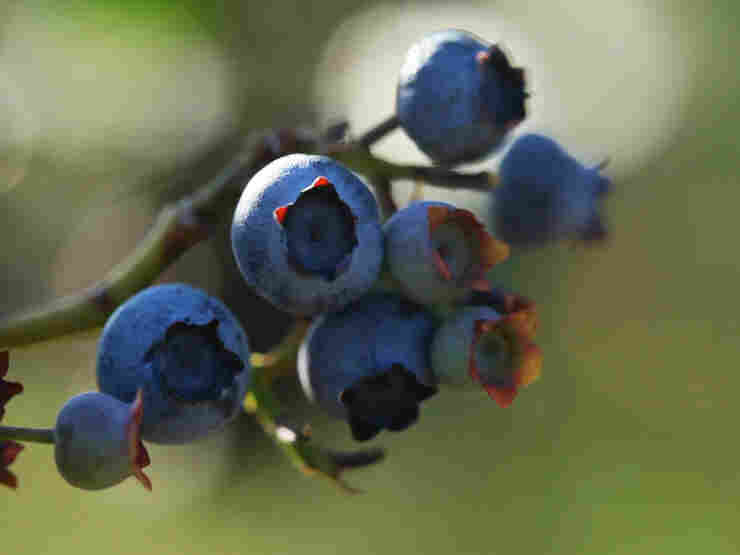 "Overall, the blueberry group had a significant increase in their insulin efficiency, whereas the placebo group did not," says William Cefalu of Louisiana State University. Feed cranberries and whole pears into a juice machine. Double strain the juice through a fine mesh strainer to remove the cranberry seeds. 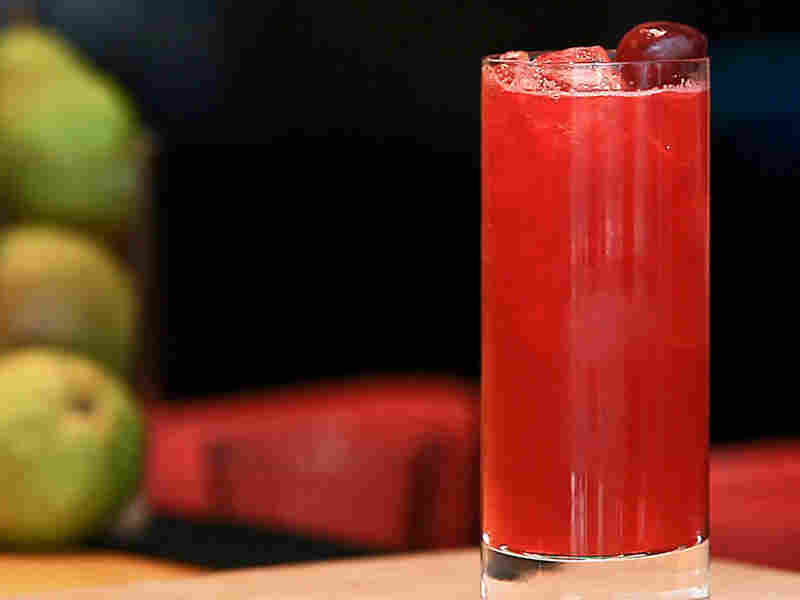 In a pitcher, mix the pear and cranberry juice with the quince simple syrup. To serve, pour over ice and garnish with fresh cranberries. 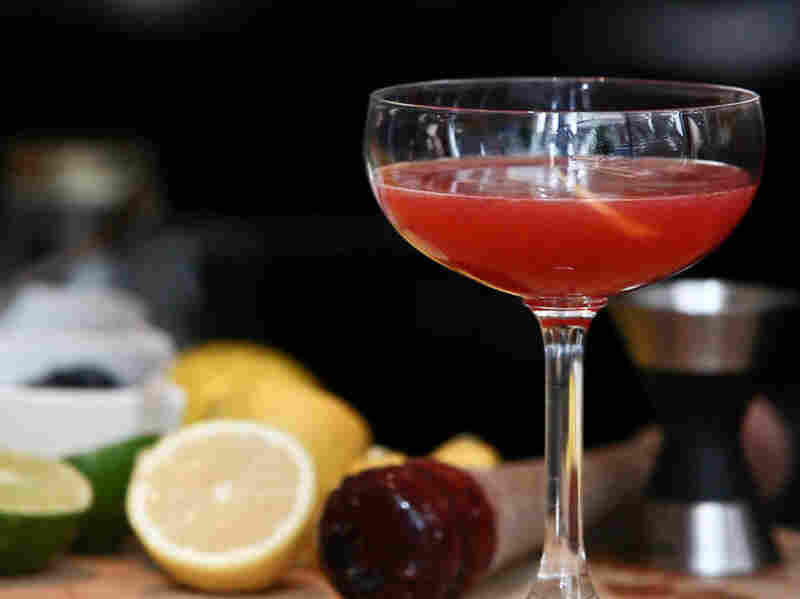 To make alcoholic, add 1 1/2 ounce of vodka per cocktail. In a small pot, combine honey, water and quince. Bring to a boil, then reduce heat and allow quince to simmer for about 10 minutes or until fruit is soft. Remove from heat, strain the quince out, discard. Let syrup cool to room temperature before using. Place the blueberries in a rocks/tumbler glass. Cover them with two lemon slices and two lime slices. Gently muddle (crush) the fruit, leaving the citrus slices as a cover for the berries. Add the ginger syrup, fill with ice and top with coconut water. Give a gentle stir. In a small pot, combine the ginger, sugar and water, bring to a boil. As soon as it boils, remove from heat and allow ginger to steep for another hour. Strain out the ginger and store in a glass container for later use. In a small pan, combine the honey and the water, then bring to a boil. As soon as it boils, remove from heat and let it cool to room temperature. In a mixing glass, muddle blueberries and add the low-calorie lemon juice mix and iced pomegranate green tea. Fill with ice and shake until frothy. 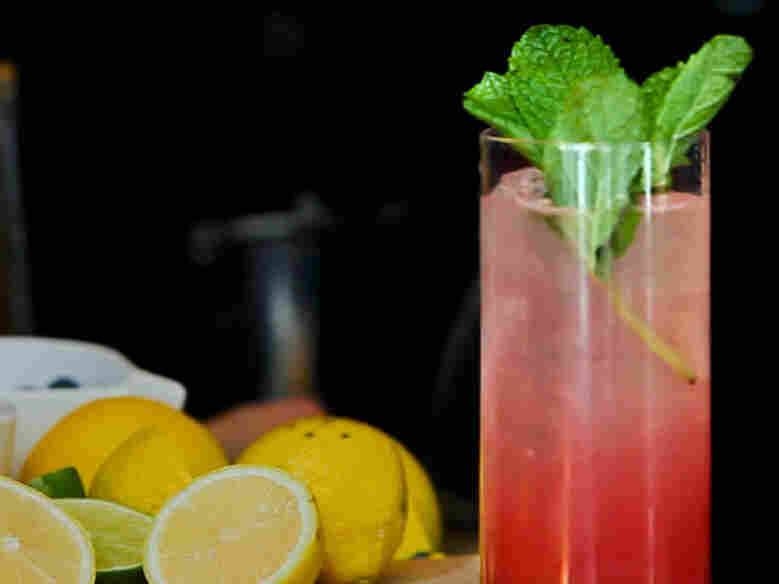 Double strain into a rocks/tumbler glass and garnish with a lemon zest. In a pitcher, combine lemon juice, Splenda and water. Stir until Splenda is dissolved. In a heavy sauce pot, combine 1 gallon of water, sugar, salt, cranberries, cinnamon clove, rosemary, peppercorns and orange zest. Bring to a boil, and immediately turn off and let steep for 20 minutes.